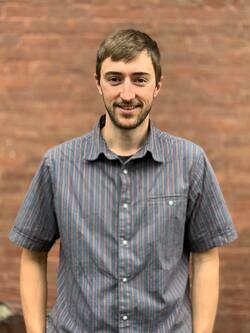 Before joining Cx Associates, Tate worked as a mechanical designer for Energy-1 of Jackson, WY. He is experienced in using energy and renewable generation modeling software, including NREL’s System Advisor Model, and is well versed in various building-related codes including ICC, UPC, and ASHRAE. Tate is an Engineer-in-Training (EIT). He earned a B.S. in Mechanical Engineering from University of Vermont. Tate recently relocated from Jackson, WY and resides in Winooski with his beautiful mutt, Ginger, and is currently serving on the Champlain Valley ASHRAE Chapter as YEA Chair. Since 1994, Cx Associates has provided commissioning, measurement and verification, energy analysis, energy efficiency consulting, and other related services for over 50 million square feet of new and existing facilities. These services improve efficiency, lower costs, and provide valuable data for commercial building owners, architects, efficiency program administrators, and state regulators.